February is full of fun events, new releases, and. . . GIFTS! NOW – Feb 9th Just in time for Mardi Gras fun, you’ll find the colorful “Lady Charming” for only 250L and the popular fur stole, (bright colors added) for only 100L, at Creations Park Mardi Gras celebration for Team Fox, 100% of sales go to Team Fox, part of the Michael J Fox Foundation for Parkinson’s research. 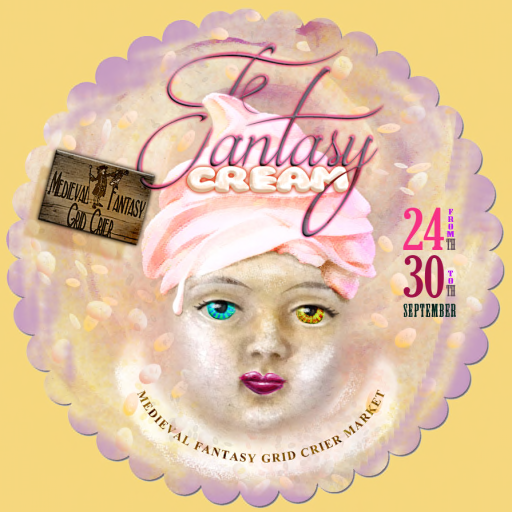 Feb 1 – 27th is another wonderful Fair Play event, a permanent fantasy fair inspired by games. The builds are breath taking and a must see!!! Each exclusive sale is split 10% – 50% to following foundations: Team Fox for Parkinson’s Research & Relay for Life of Second Life. This month BMe offer is the fun, playful elven inspired outfit “Breeze.” This fitted mesh outfit is an original mesh design by SolasNaGealai, it comes in Slink &Classic avatar fits and will work on MOST avatars in SL. (Try Demo) It’s only 250L during Fair Play. Feb 2 – 23ed be sure to check out Totally Top Shelf, this is a high quality bi-monthly event that features creators from different genres of SL roleplay. Each designer is asked to create an item that falls in line with the events theme. BMe item is an elven shoe that coordinates with the “BMe Breeze” outfit. This fitted mesh shoe is an original mesh design by SolasNaGealai, fits the Slink flat foot and comes in 4 colors. A New design release at the BMe Main Store, the breath taking “Aisling” comes in 4 soft spring color-ways. It’s rigged mesh in the 5 standard sizes, with a non-rigged belt to adjust to make the fit perfect to your avi shape. ONLY 225L for the month. You can find TWO Group Gifts for BlueMoon enterprise, at the main store I have set out “Queen of Hearts” a renaissance inspired gown that will have the people bowing at your feet. At the Creations for Parkinson’s store I have set out a more up to date fashion item, “Lady Heart”, this glamorous gown comes with matching gloves. Well that about covers February’s fun. This will be a very exciting spring for me; I am taking BlueMoon to uncharted territory so please stay tuned for more on the adventures to come.